I always plan to visit a cemetery in every new country I go to, but Portugal was no exception. However, once I learned I was pregnant (after I booked my trip) and became very ill, I scrapped most of my plans and hoped I would at least be able to make it out of bed once a day. 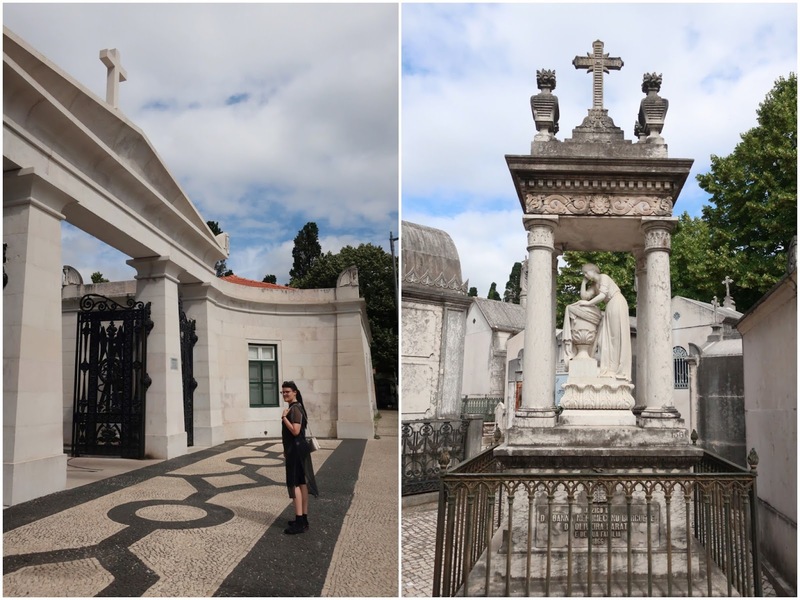 As luck would have it, the airbnb we booked in Estrela was within block of Lisbon's most famous cemetery - Cemitério dos Prazeres. I couldn't resist the 10 minute walk and though I should at least try to explore what I can. 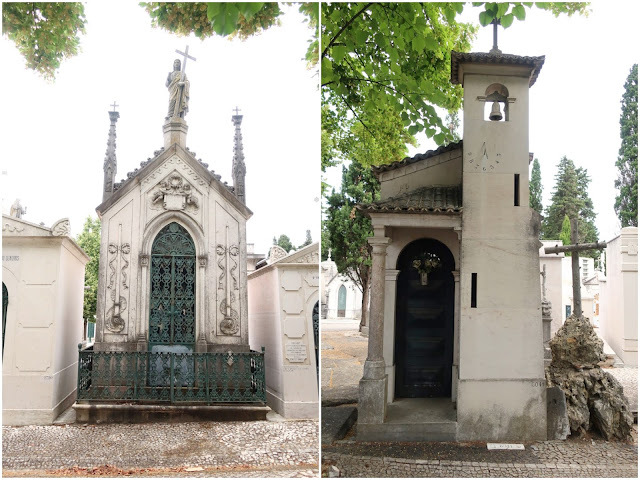 Built in 1833 and featuring large mausoleums, it is one of the most beautiful cemeteries I have ever been. 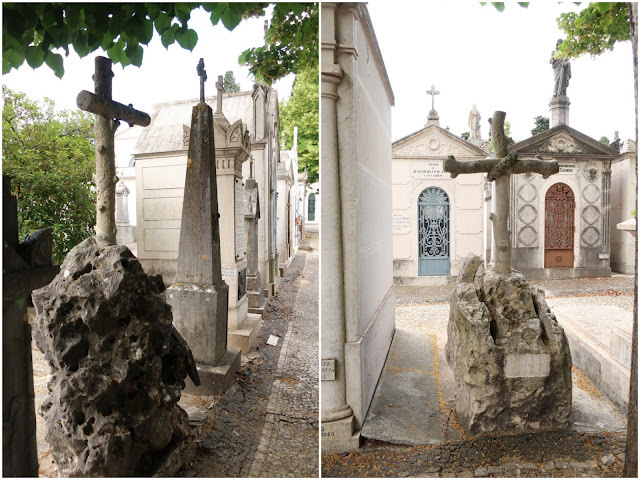 The "streets" of the cemetery are paved like those for cars, and even have lamps, benches, trashcans, and sidewalks too. 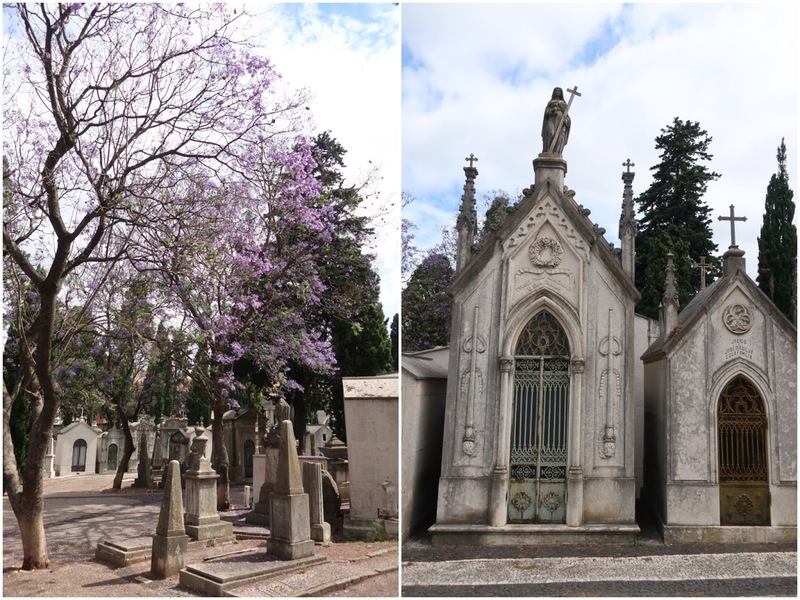 In the summer, the beautiful Jacaranda trees were in bloom, and added color to the stone mausoleums. 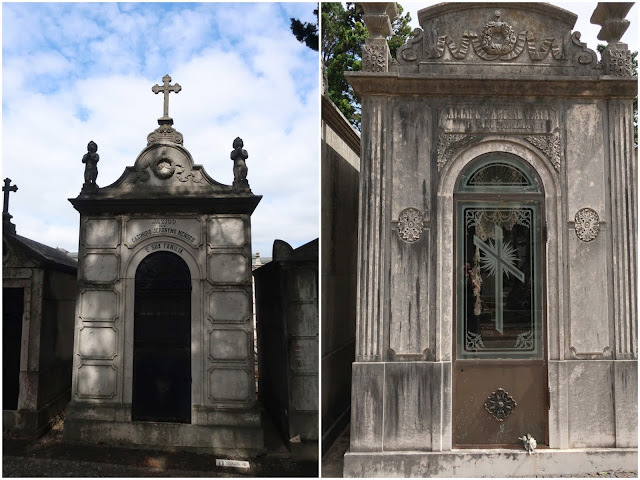 I was surprised to see these very Chinese-looking mausoleums in the cemetery, but then again, Macau was a Portuguese colony. 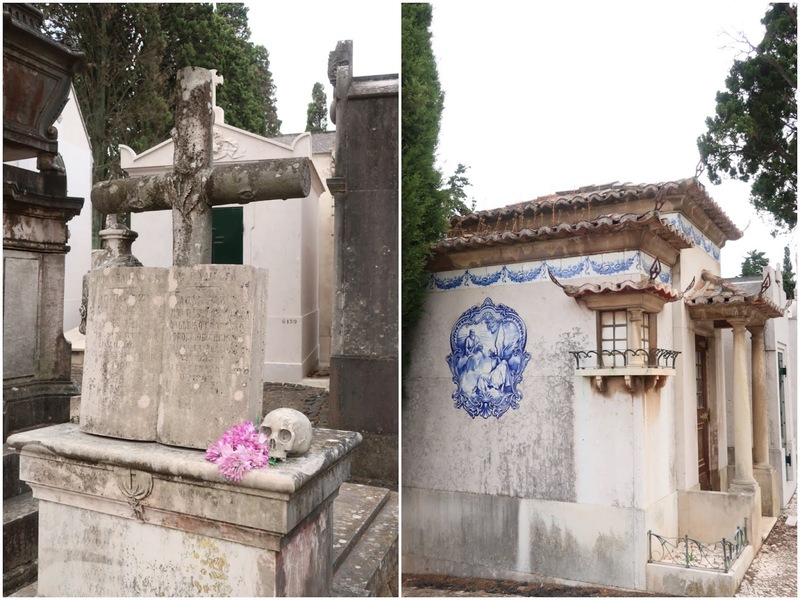 The cemetery was up on a hill and had an impressive view of the bridge and river.